The wedding was beautiful, my big sister is married, and I am busy preparing her a big shindig. The final party of her week of sheva brachos. For those unfamiliar with this term, it’s basically a week of parties following the wedding, generally hosted by family and friends of the bride and groom. Read more here. While I prepare this party, I have another fabulous guest poster. I have been a fan of Tali, over at More Quiche, Please for ages, pretty much as long as I have been blogging. Tali not only keeps kosher, but is a vegetarian, so her recipes are completely different and exciting. She has a wide variety of salads such as this delicious looking marinated eggplant salad, a great bread section including these adorable and creative challah napkin rings, an entire section of DIY versions of classic supermarket favorites (think homemade Wheat Thins) and lots more, including (most importantly) a ton of great looking cookie recipes like these and these! Make sure to check out Tali’s blog, and tell her I say Hi. 😉 Now, onto this fabulous recipe! 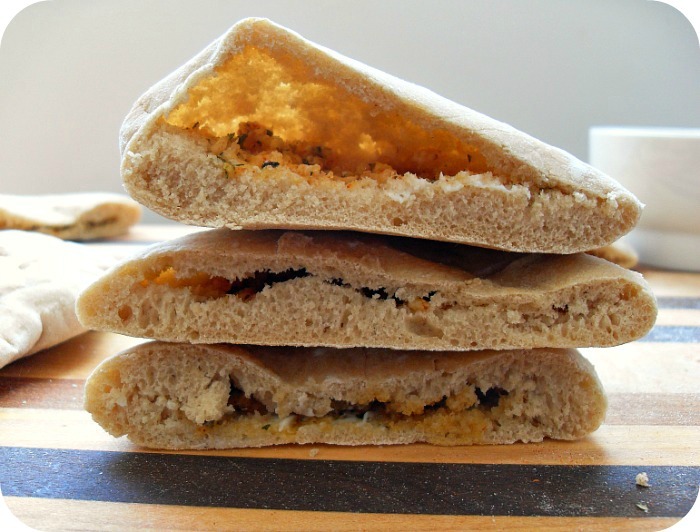 I’ve been making garlic pita wedges since the early days of our marriage (though at only 20 months, I guess you could still say we’re in the early days!). Fresh bread lined lightly with butter that plays host to minced garlic and spices before going in the oven for a little toasting action — you really can’t go wrong with this stuff. One of the great things about this recipe is that you can make it as complicated or as simple as you like. So if you have a bit of extra time and feel like pulling together a batch of homemade pitas, great. If all you have time for is pulling store-bought pitas out of the freezer, that will also work. It’s the same with the spices: You can use all fresh, all dried, or some of each, depending on what you already have. Yes, fresh herbs always taste better than dried, but you know what? 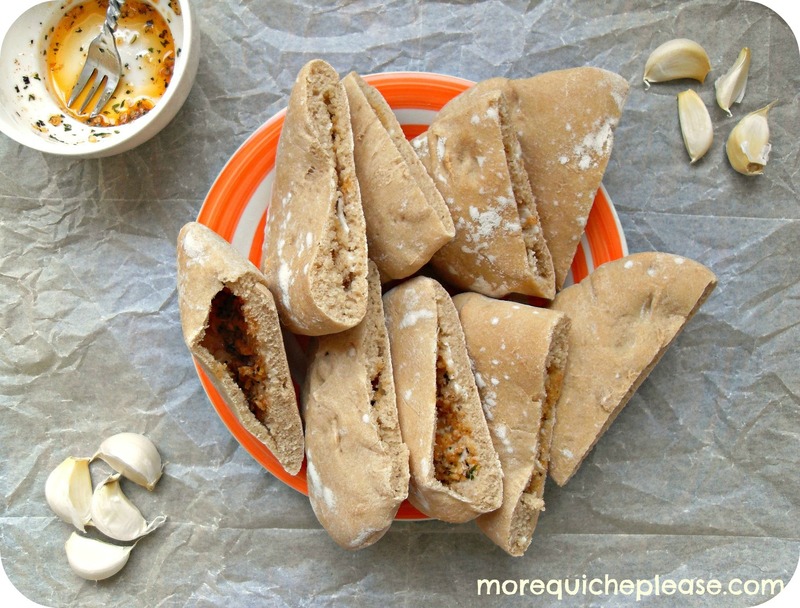 These garlic pita wedges are delicious either way. But the biggest reason they’re part of our regular meal routine is because they complete a meal so nicely. Serve them with a pot of steaming soup in the winter or a bright, flavorful salad in the summer — and there you have it, dinner’s served. This is more of a method than a recipe. While I usually measure my ingredients exactly, it just isn’t necessary here. Preheat oven to 300 F/150 C for soft pita wedges or 400 F/200 C for crunchy, toasted ones. 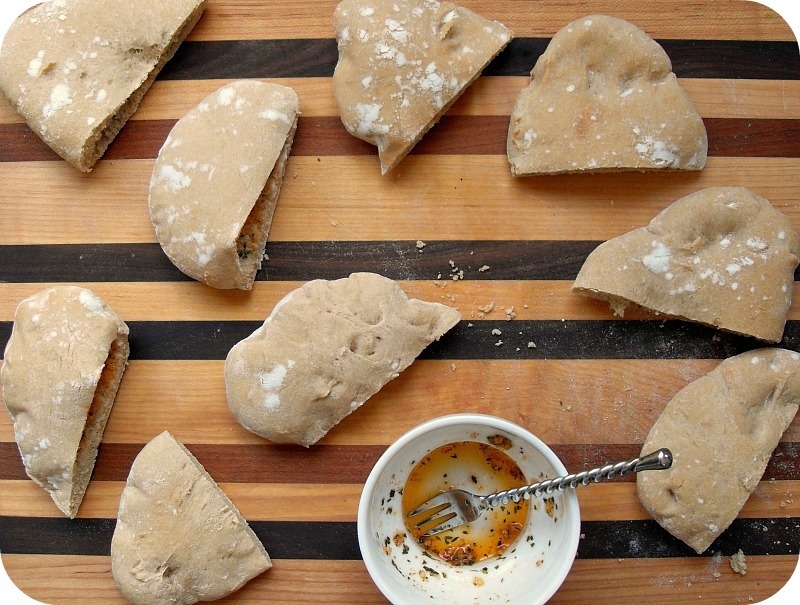 Spread the inside of each pita wedge lightly with butter. Add all seasonings to taste, throwing in a dash of this and a dash of that if using dried or small spoonfuls of finely chopped herbs if using fresh. Mix everything together. Scoop some of the garlic mixture inside each piece of pita. 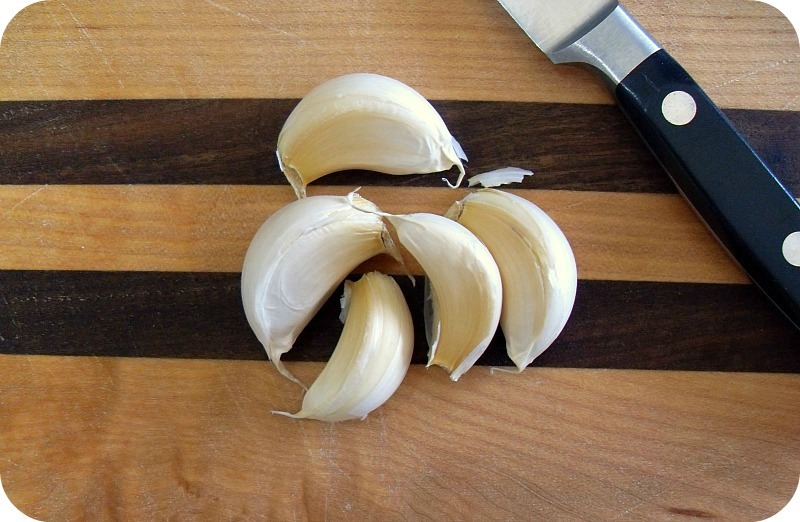 I use about a teaspoon, spreading it around inside the pita, but use more or less as you like. Fill a baking sheet with the prepared pita wedges and give them some oven time: Ten minutes is long enough to heat them through, though if you want crispy pitas you may need to leave them in a bit longer. Serve warm or room temp with just about anything! I love the photography. Such interesting shots!